Machine Tools Africa 2017, which runs from 9 – 12 May 2017, is an excellent opportunity for manufacturers to update themselves about Industry 4.0 developments. Here First Cut, a leading South African distributor of cutting consumables and capital equipment – and a vigorous proponent of Industry 4.0 – will welcome the manufacturing industry to Hall 6 stands D06 and C12. “Sophisticated automation available in capital equipment – such as in fibre laser cutting or tube bending – has the power to revolutionise manufacturing and organisational productivity to previously unknown levels,” says Andrew Poole, Managing Director of First Cut. Poole adds that this is particularly true in South Africa, where the majority of manufacturing businesses have been slow to adopt and adapt to the so-called fourth industrial and automation revolution – or Industry 4.0 as it is commonly known. This year – amongst other offerings, and in line with the ethos of Industry 4.0 – First Cut will be showcasing a range of innovative, automated capital equipment from their leading global principals such Bystronic, Timesavers, Everising and BLM. Jackson adds that a maximum degree of operating convenience and transparent process control is provided by the intuitive ByVision cutting user interface – and by unrestricted access to the cutting area from the machine’s long side. Additionally, completing Bystronic’s holistic manufacturing and fabrication solution, is BySoft 7 intuitive software comprising four modules: Plant Manager, Sheet Processing, Bending, and Tube Processing. 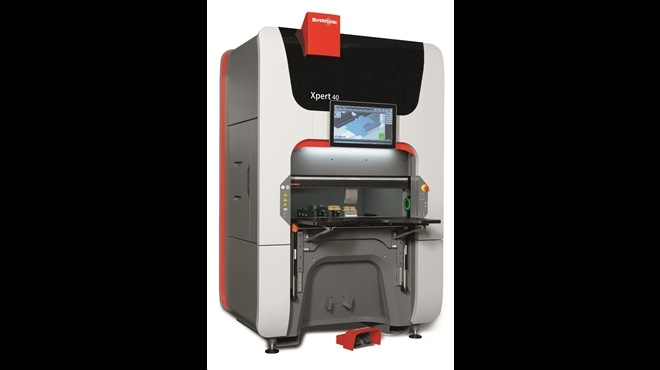 The larger Xpert 150T 3100 will also be showcased on Bystronic’s dedicated stand at MTA. Van Wyk advises that Timesavers will be presenting the new Series 42 1350 WRBW deburring machine, the latest in deburring technology, where pre-grinding is carried out by an abrasive belt. After this, the rounding of edges and surface finishing is completed in a single pass using eight counter-rotating abrasive flap brushes. “In addition, our principal Everising is also part of the Industry 4.0 drive, with offerings which will be on display at the show, such as their new circular saw and band saws,” he explains. Tube-bending experts, BLM Group, represented in South Africa by First Cut, will be displaying their amazingly versatile E-TURN 32 tube bender, which is suited to applications in the automotive and furniture industry, to name only two. This CNC-controlled machine uses B Tools software to guarantee perfect results – regardless of the level of operator skill. We are therefore very excited by the opportunity we have at MTA to consult with our valued manufacturing and fabrication customers, on how we can best assist them to harness the power of automated, innovative capital equipment – in the spirit of Industry 4.0 – in order to promote the profitability of their businesses,” concludes Poole.